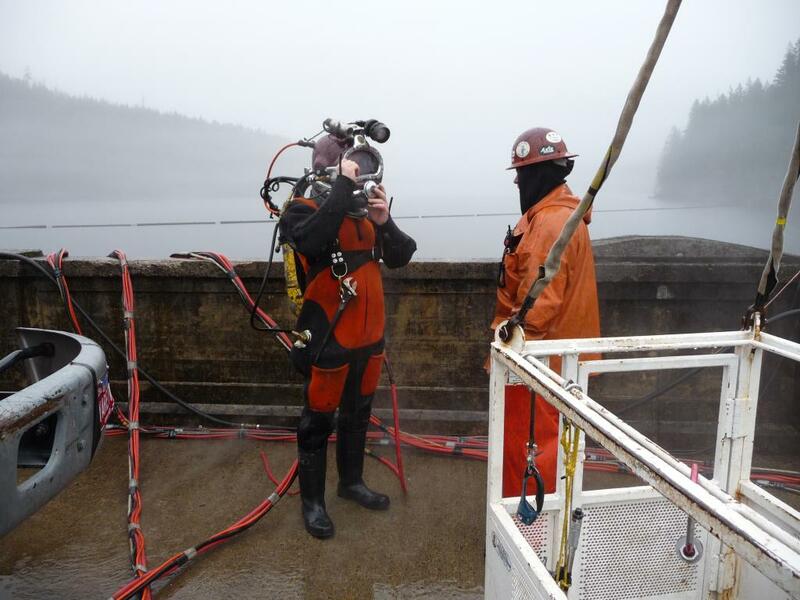 Bull Run Dam - Global Diving & Salvage, Inc. In 1929, the City of Portland built Bull Run Dam 1 on federally protected and restricted land, the Bull Run Watershed. The complex, Bull Run Dam 1 and 2, is a significant source of potable water for the City of Portland and the surrounding area. Global was contracted to make repairs to one of the existing gate and trashrack structures. The project required an exceptionally high level of care and oversight, due to the location on federally protected land and the fact that the work was being done in potable water. 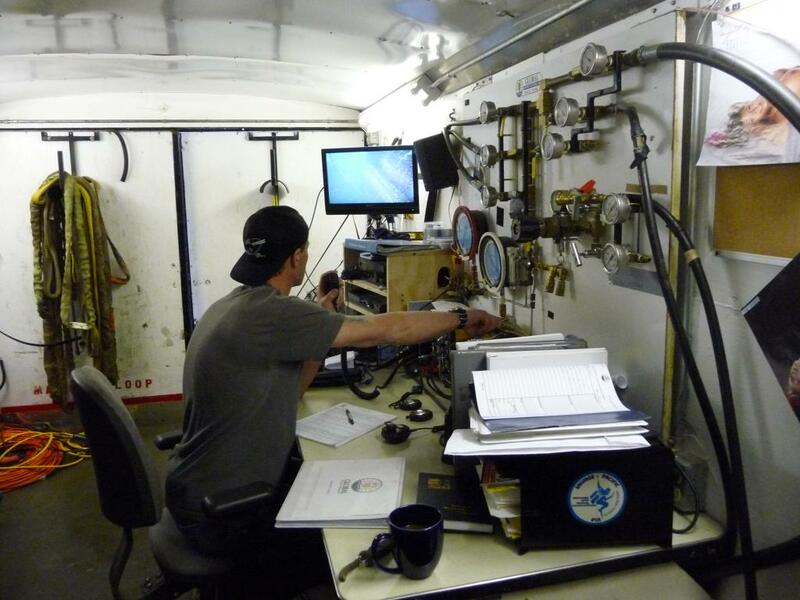 Damage and pollution prevention steps included complete decontamination of all diving gear and related equipment that enters the water, and complete containment for all mechanical equipment on site. 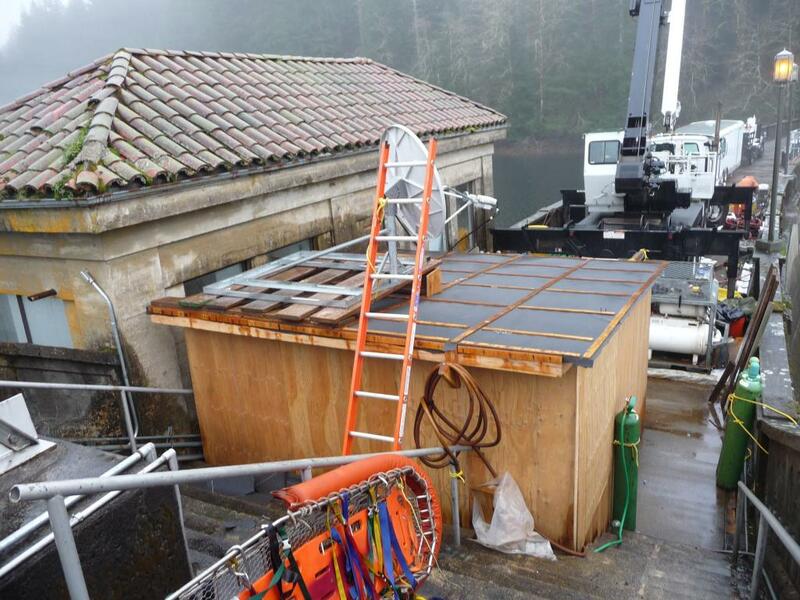 Access to the site was extremely limited; there was no through access across the dam, so all equipment had to be staged on top of the dam. The water level fluctuated over 40 feet during the project, making access to the water extremely difficult. The dam has seven slide gates mounted to the face of the dam inside a trashrack enclosure. These gates, located at various levels, allow the operators to control the flow of water as well as the temperature of the water as it moves through the system. 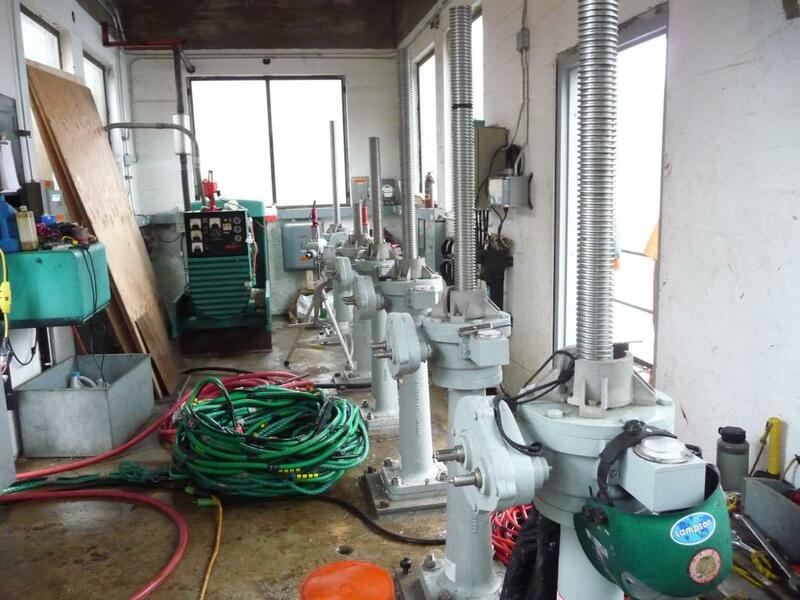 During the project the existing trashracks and supporting beams were found to be severely rusted. They were all replaced with new galvanized beams and panels. Gate #6 had severely eroded concrete behind the frame where it mounts to the dam wall, allowing water to pass even when the gate was closed. The gate was completely removed, including drilling out of the original anchor bolts, repair to the concrete and reattachment of the gate to the dam. The nuts which secured the stem to the gate were severely corroded and had to be cut off. All of the existing stems were removed and disposed of, as well as all the stem guides and actuators mounted on the surface. New stems guides were mounted to the face of the dam, and new stems were attached to the guides. Once installed through the operator floor the stems were attached to new operators and connected to the gate itself. The gate was reinstalled and secured with new anchors. All gates were fully tested for proper operation. This entire gate repair process was carried out inside of the trashrack enclosure. Tracks were mounted to the underside of the enclosure and the gate was moved to the outside edge where it lifted and set on deck for cleaning and storage while the concrete repairs were being made. The project also involved repairs to the spillway. Rolling scaffolding was raised and lowered on the curved spillway surface as needed to access the area to be repaired.